The Yonex ArcSaber Z-Slash Badminton Racket is designed with an ultra slim shaft and head that travels through the air faster than ever, allowing you to create the head speed to get the extra edge in your big shots. This helps you get the most out of every shot, and gives you a great feeling of unstoppable power. 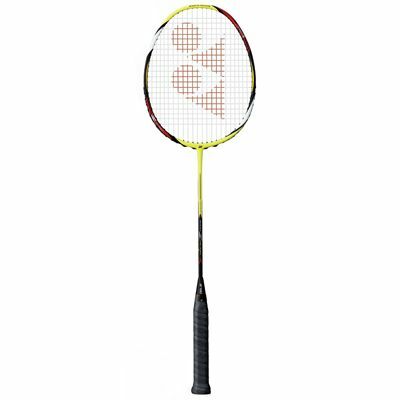 The Z-Slash still packs in all of the advanced technology one would expect from a Yonex frame to also assist with the touch game, and comes with the unrivalled Yonex string as standard. Made using the new material and manufacturing process, called the ‘Cup-Stack Carbon Nanotube’ process, this technology is adopted in both sides of the frame in order to give the racket strength and perseverance. It holds large amounts of energy on impact and then releases it back like an arrow. It gives you a depth and control in your game like no other frame. This Z-Slash racket is designed to cut through the air with precision and power with the thinner frame helping to accommodate this fantastic feature. 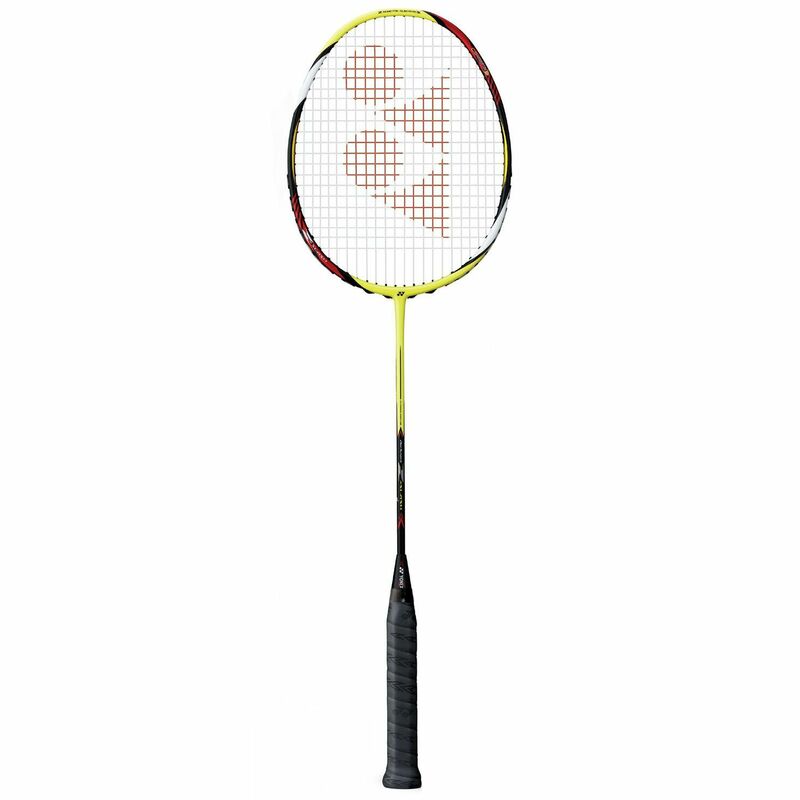 The Cup-Stack carbon frame design serves to make this racket more responsive and gives you the very best in power under control. Yonex badminton rackets are used by many of the top players in the World including recent International tournament winners Lin Dan (China), Lee Chong Wei (Malaysia), Peter Gade (Denmark), Rob Blair (GBR), Choo Wong (Malaysia) and Dae Lee (Korea). Alot of practice is needed before you get used to this racket, probaly due to the new technology built in (CS cap, aerodynamic frame). Once you do get used to it though it is a perfect all round racket, lethal with power and quick with net shots. Ideally suited for singles players but would also suit aggresive doubles players. I have known people after a few weeks to return this racket due to not being not being consistent with shots so before buying get ready to practice, ALOT! for submitting product review about Yonex ArcSaber Z-Slash Badminton Racket.